The Community of Madrid, within the V Regional Plan for Scientific Research and Technological Innovation, will invest 52.6 million euros of aid to help researchers and companies in Madrid develop R & D and technological innovation projects. BUSINESS COMPANIES: 20 million euros will be allocated for consortiums formed by at least one large company, three SMEs of which one must be a start-up and a research organization or a university. These consortiums must collaborate for four years to launch collaborative R & D projects focused on areas of advanced materials, the city, energy, mobility and logistics or health technologies in the south of the Community. 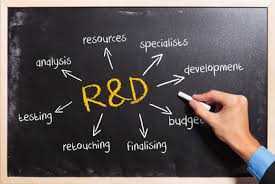 INTERNATIONAL PROJECTION R & D PROJECTS : 12 million euros in aid for researchers from public centers to develop R & D projects of three years in new scientific areas, emerging and with international projection. The beneficiaries of these grants will be the universities, agencies and public research centers and foundations dedicated to research. START-UP AND INNOVATIVE SMES : 11.6 million euros to stimulate the consolidation and growth of this type of company. The grants include various forms of incentives to cover the full life cycle of young innovative companies based on technology. SMEs : 9 million euros in aid for SMEs to access and take advantage of the innovation and commercialization services of the technology provided by the numerous entities of the Community of Madrid.